Rosa Catene , originally in the standard products sector, is now specialized in the production of special chains for the food industry, developing personalized technical solutions according to the Customer’s requirements. 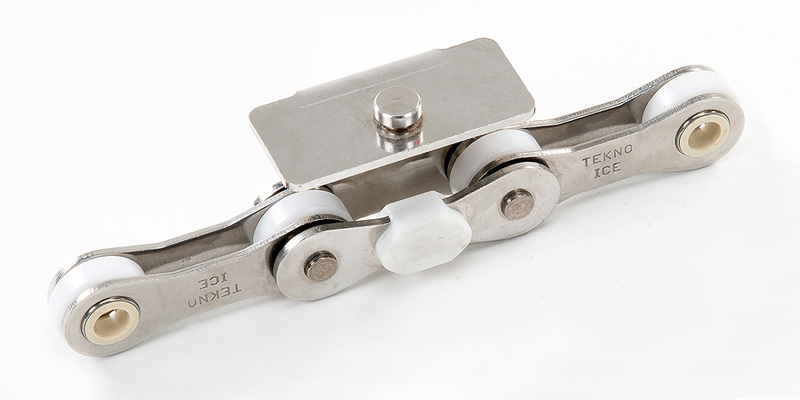 Starting from the standard chain, formed by links, pins, bushings, rollers and outer links, Rosa Catene creates a custom-made chain according to the Customer’s requirements. 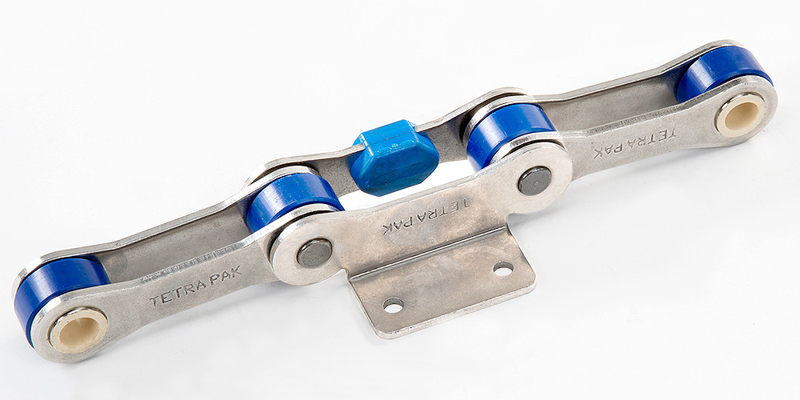 The special chains , produced by modifying the inner parts of the standard chain or submitting the chain to surface treatments with different metals, are steel chains able to resist straining caused by the working environment of the food product. the zinc-plated chain, is a standard chain undergoing a hot or cold galvanization treatment which protects its components from oxidation. In particular, the “ green zinc-plating” with an inferior presence of Chrome internally, is pointed out. 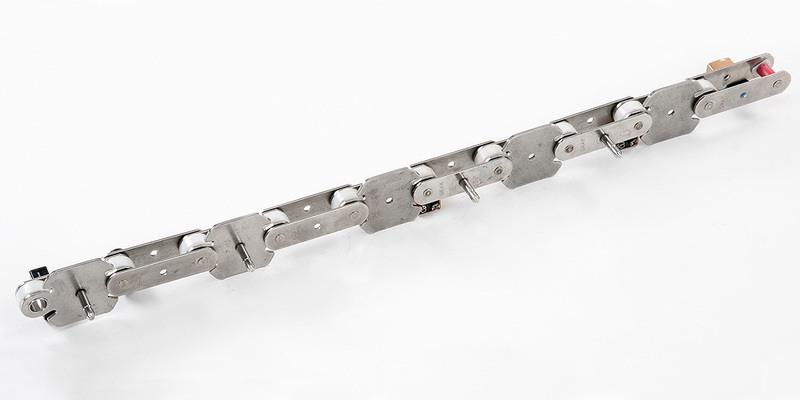 the chains in stainless steel series 304 or when a marked resistance to erosion is required, stainless steel series 17-4PH. 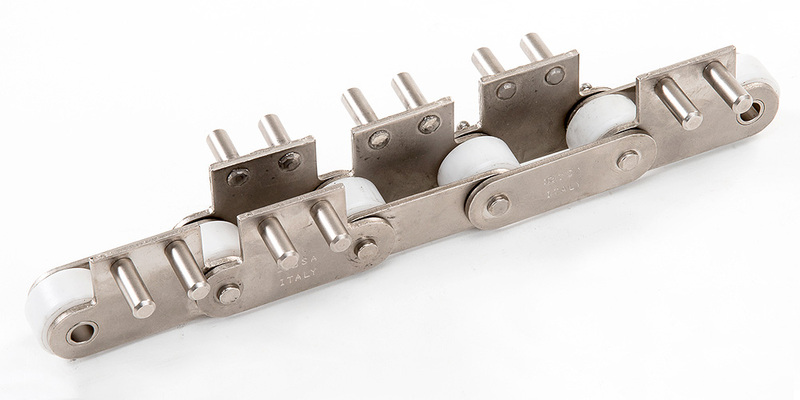 The Rosa Catene nickel-plated, zinc-plated and those in stainless steel are therefore optimal solutions for Customers with applicable problems because they assure longer chain life and a superior resistance to oxidation.